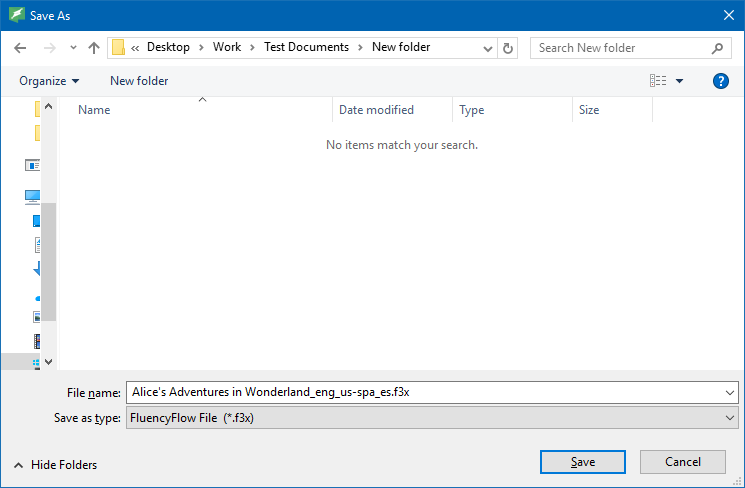 Fluency Now offers a quick and easy way to access your assigned files for translation through a direct connection to FluencyFlow. 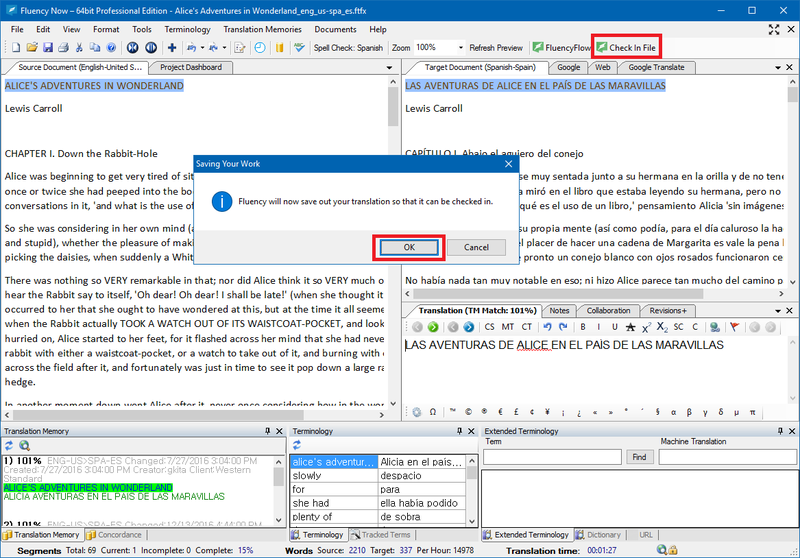 With FluencyFlow Direct Connect, you'll be able to check your files out, translate them, then check them back in without ever leaving Fluency Now. 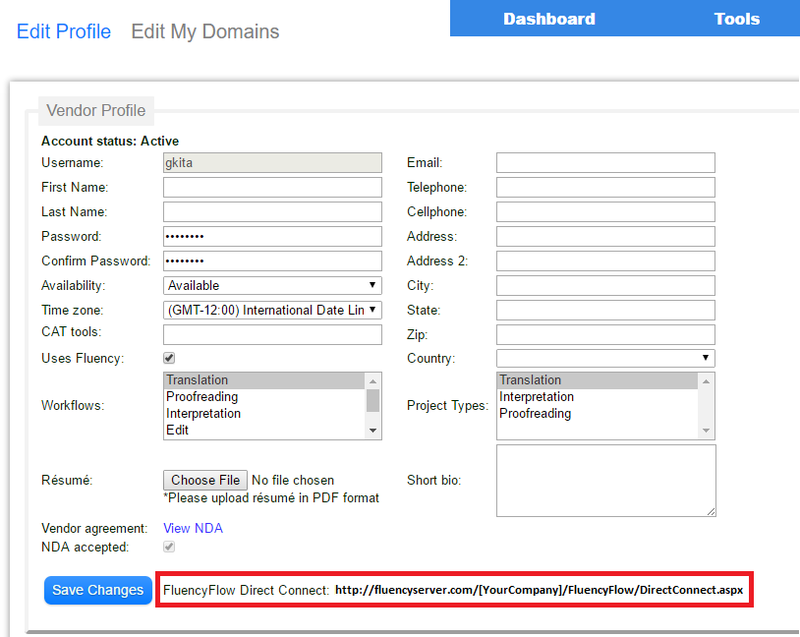 To activate FluencyFlow direct connect, first log into your account on the FluencyFlow website, then click on the Profile link in the Tools menu. Now you’ll see your profile page. 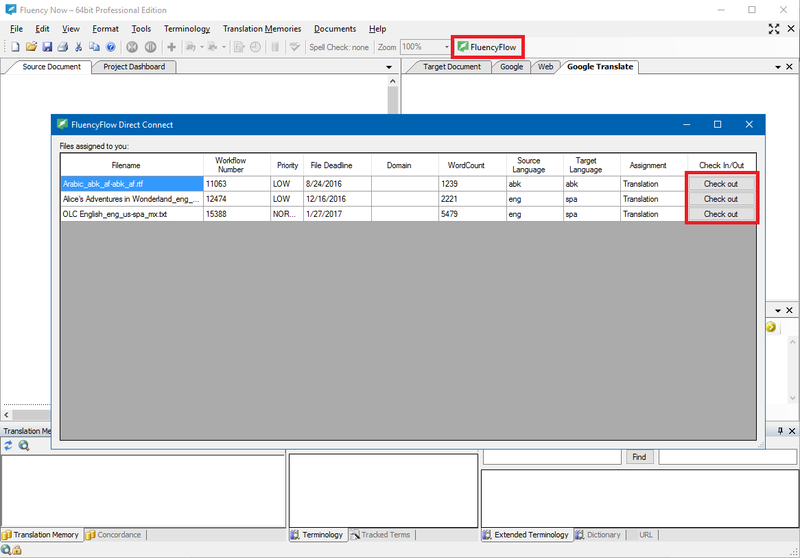 Scroll down to the bottom of the Vendor Profile section and you’ll see FluencyFlow Direct Connect with a URL next to it. Highlight that address and copy it, then open your copy of Fluency Now. 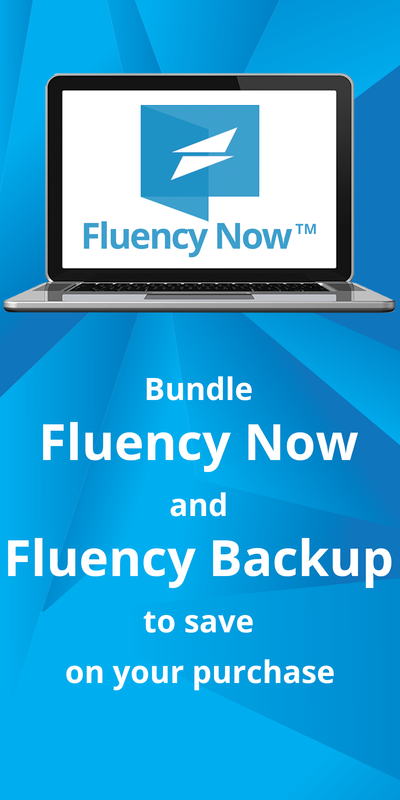 Once you’ve opened Fluency Now, click on Tools > Preferences > Fluency Server Settings. 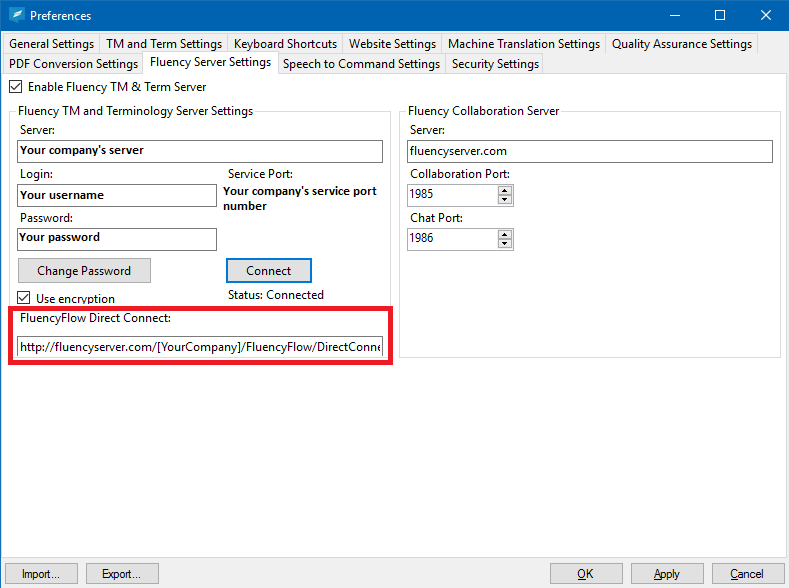 Make sure you’re connected to your company’s TM & Term server (see here for more information on that), then paste your FluencyFlow Direct Connect URL in the field designated below and click OK.
You’ll now see a FluencyFlow button in the upper toolbar of Fluency Now. Clicking that button will reveal a new window that will display all files assigned to you. From there, click on one of the Check Out buttons to begin working on a document. 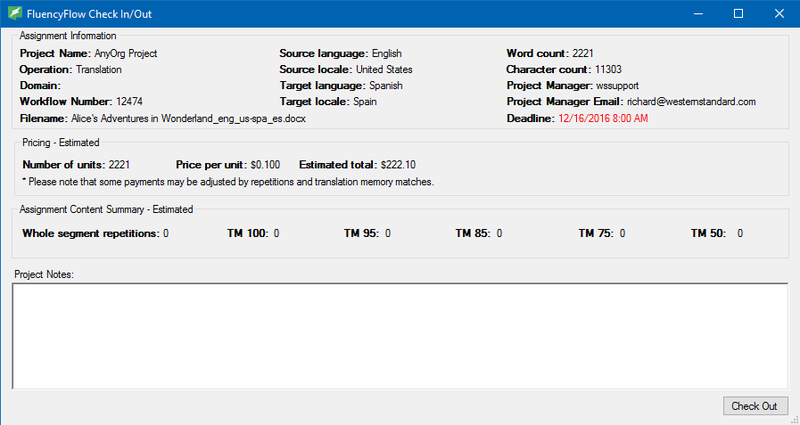 Next you’ll see a checkout window with specific statistics about the project you’re working on. Click the Check Out button to save the file and begin working on it. Select a location to save the file, then click Save. 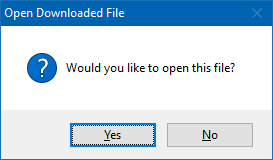 Click Yes when asked if you’d like to open the file, then you’ll be ready to translate as usual. Once you’ve completed translating your document, click on the Check In File button, then click OK when notified that the file will be saved before checking in. 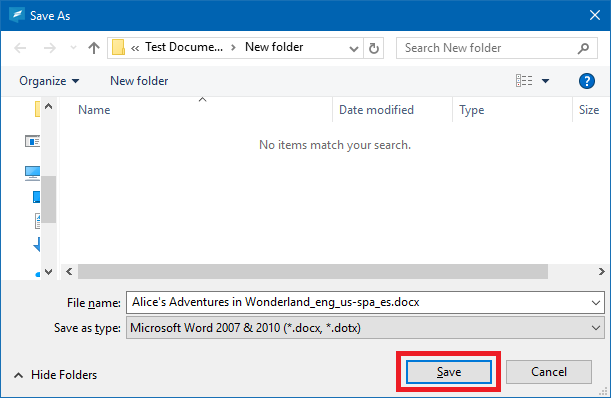 Select a location to save the file, then click the Save button. Check the Mark Complete box if the file is completely translated, then click Check In. 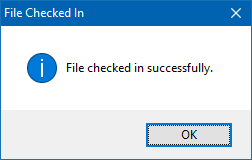 Once the file has been successfully checked in, you’ll be ready to move on to the next document in your assigned list. For additional assistance or information, please contact us at support@westernstandard.com .